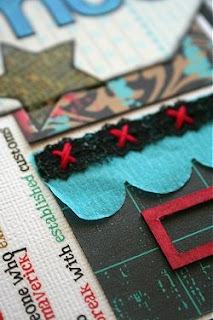 Are you ready for a little sneak peek of the Citrus Tree Studio "Easy Rider" Kit? I LOVED it! The full kit along with the "Zinnia" mini kit will be available for purchase on June 5th. This is one to get because it's packed full of goodies! What I thought would be a weekend project has taken us two weekends and the drip system still isn't quite right. Tanner has been running the Bobcat for us filling the boxes and has gotten quite skilled at it. 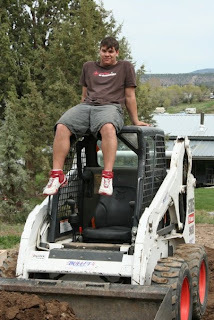 The Bobcat is controlled with joy sticks and foot peddles so I'm guessing all those video games he plays has paid off. Here's a few photos from this weekend. These are the boxes. There are 20 of them ranging in size from 4X12 feet to 4X4.6 feet. We made them those sizes so they would fit together like a puzzle with 3 foot walkways in between. Make sense? 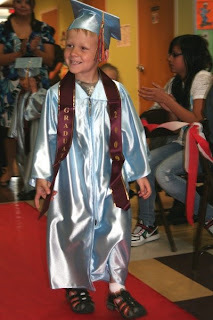 I had an early meeting on Tuesday morning so I didn't get to be a part of him getting ready for graduation. I showed up just in time for the ceremony to start and when it came time for his class to come out for the singing portion of the program I asked Dave, "What happened to the clothes I set out for him to wear today?" He said, "Gabe didn't want to wear what you put out for him, he dressed himself." Gabe had on shorts, a camo shirt, white socks and sandals. Good grief. 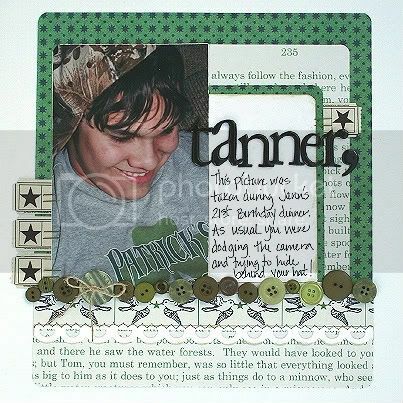 If you haven't stopped by Scrapbook Dreamer lately you really should. The DT is hosting a month long event and the prize is a $50 gift certificate to the Dreamer Store and a guest design spot for July. Each Friday two new challenges are posted based on decades of time from the 1960's to the future. Besides the grand prize there will also be random prize winners drawn from participants so make sure you get your creations uploaded and posted in the forum! Have I ever told you that I absolutely hate shopping? Hate it with a passion. Today Gabe and I shopped 'til we dropped, almost literally. He was such a little trooper the whole day and his eyes were pretty heavy on the drive home. Hopefully, we don't have to do that again anytime soon. I haven't done many new projects lately but my June CTS kit came in the mail today and it got me all excited again. The ideas are flowing for some really fun projects. Speaking of projects here are the few that I've been working on this weekend. 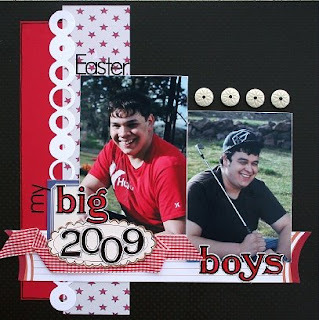 The first one is my layout example for the Citrus Tree Studio challenges posted today. 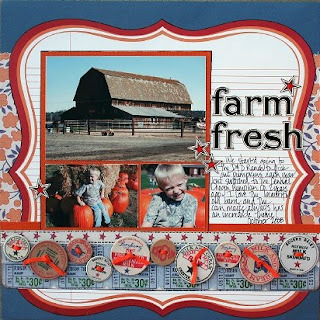 I issued the sketch challenge for May and used the remainder of my scraps from the May "County Fair" kit. You may recognize this picture, it's the one that I took of the kids on Easter. 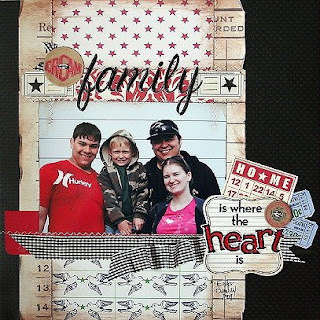 This next layout I did for a challenge over at Kit 'n Kaboodles. 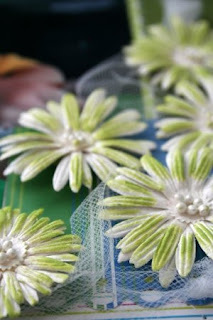 For this challenge you needed to "alter" paper flowers. Jules posted 10 different techniques for altering flowers and I chose to ink mine. Kind of cute and so stinkin' easy. And finally, a Mother's Day card for my mom. Hopefully she doesn't check out my blog before tomorrow. 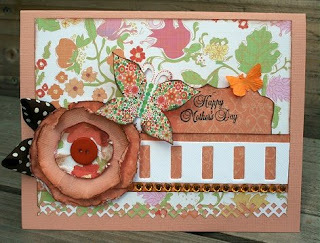 This is for the butterflies and bling card challenge over at Dreamer. 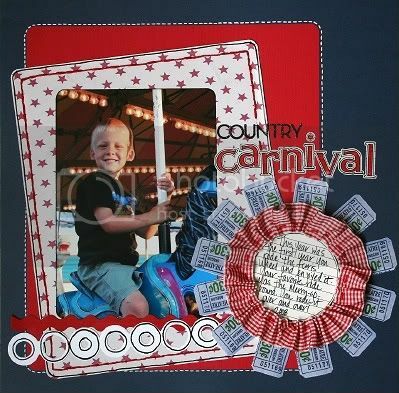 Today is the reveal of the Citrus Tree Studio "County Fair" Kit. The vintage feel of the kit really lends itself to scrapping those wonderful summer days and harvest time photos. I really, really liked this kit! Ack, this next picture is bigger because I had to upload it with photobucket because my computer is giving me fits this morning! 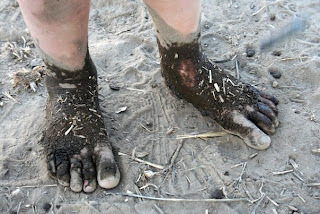 I spent the day with Kayla today for her birthday and we scrapped most of the day...no kids, just plain ol' girl time. I had a wonderful, stress-free day and was very productive! I actually finished one card and one layout and almost finished two others. Not bad. 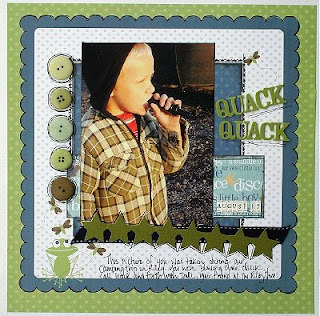 "Quack-Quack" is a layout I did for Dreamer using the 3 Bugs- Snips & Snails line. 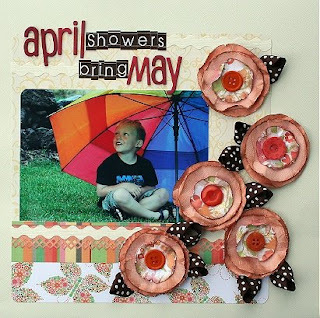 I created "April Showers" for my "Mix-it-Up" Challenge at Dreamer. This month's challenge is to create a layout using something unexpected. I used a rainey, umbrella picture with flowers. 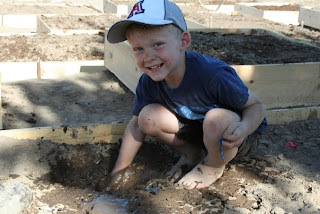 It's not your typical boy layout! 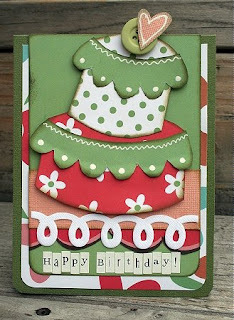 Finally, this card is for Cindy's Quick-Fire Challenge over at Citrus Tree Studio. 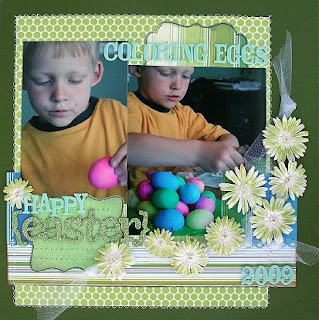 It uses a template out of the May/June issue of Paper Crafts Magazine.